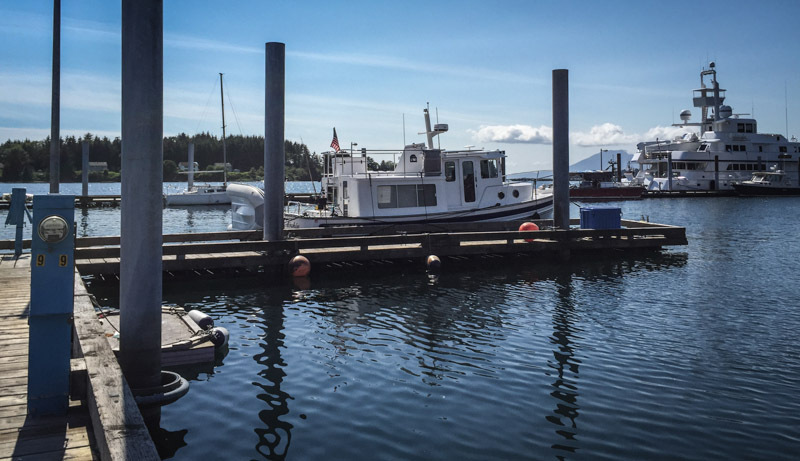 We arrived in Sitka early in the afternoon on the 3rd. 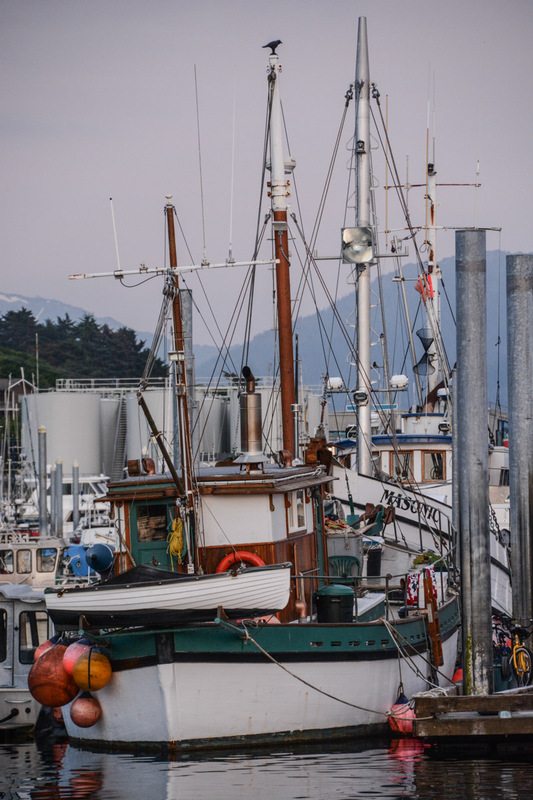 The harbormaster put us in an end spot on Float 9 which as it turns out, was a primo spot for watching fireworks from the top deck, but more on that later. 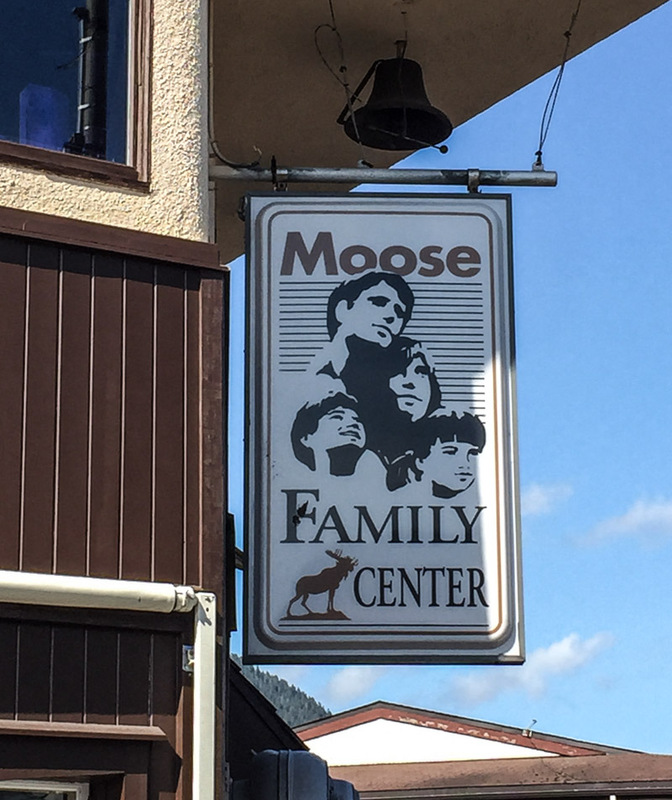 This museum is small but mighty. 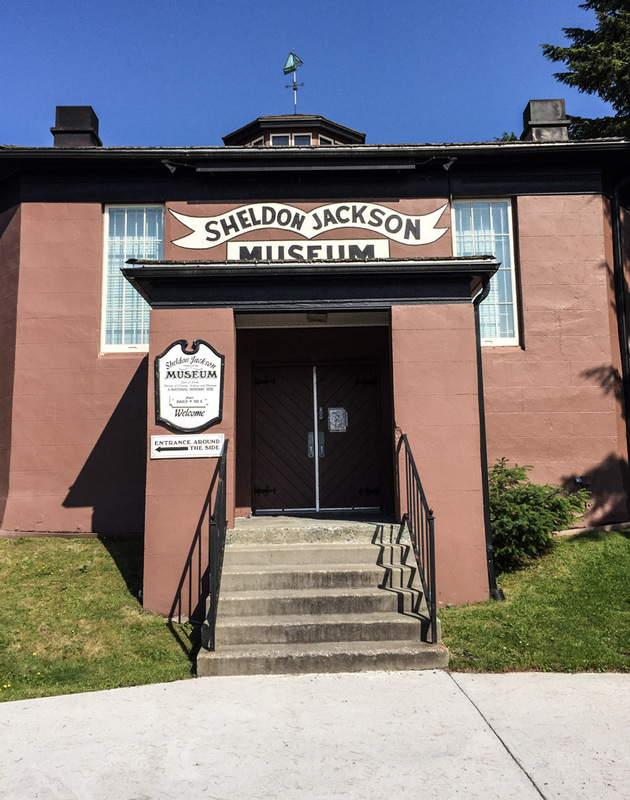 The Sheldon Jackson museum is the oldest museum in Alaska and is located in the first concrete building in the state. 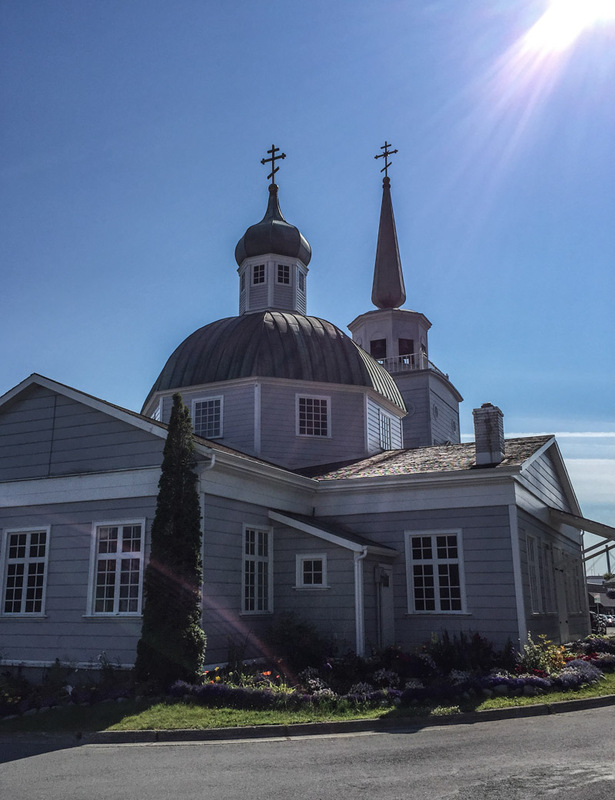 Construction began in 1895 and it has been occupied since 1897. The building was placed on the National Historical Register in 1972. 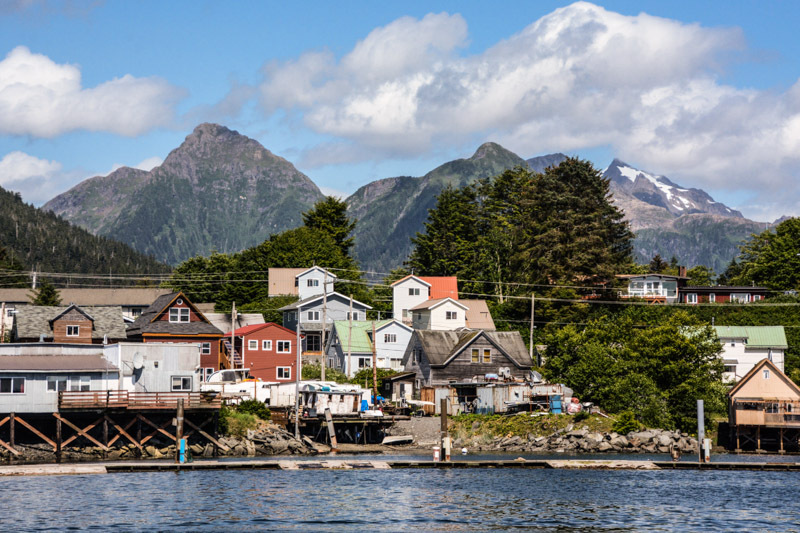 Alaska was under the Russian flag for 126 years, almost as long as it has been part of the United States. The museum’s historical collection of 1,700 objects includes both the Russian colonial era and the American period (1867 to present). Outstanding among the Russian objects are a bronze double-headed eagle emblem, one of only two known to exist, a medallion presented to Alexander Baranov by Catherine the Great, a tri-corner hat and brocaded caftan from the 1840s, and material related to Russian exploration. Tools, weapons, religious icons, documents, and utensils form a comprehensive representation of life in Russian America. Alaska Native material dominates the collection and includes objects from Alaskan Eskimo, Athabascan, Aleut, and Northwest Coast groups. Items from daily life as well as ceremonial and sacred objects are well represented. 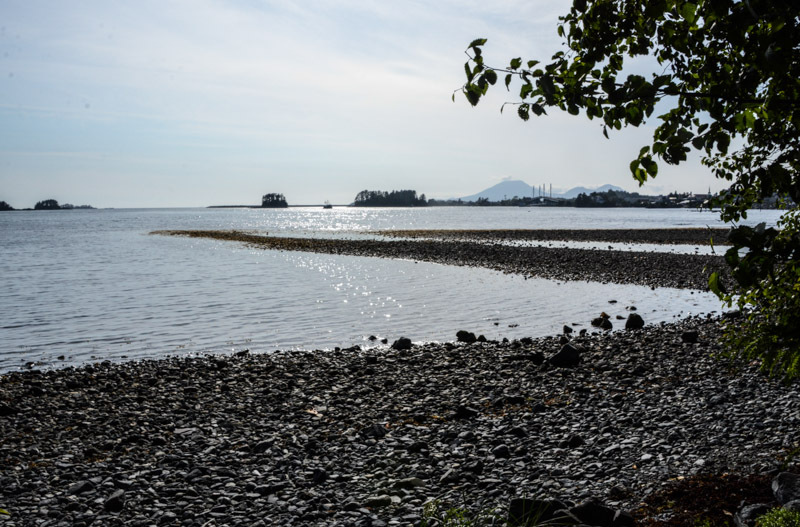 The collection of Northwest Coast and Eskimo baskets is among the most comprehensive in existence, and includes fragments of three recently discovered baskets which have been dated to 5,000 years b.p., the oldest ever recovered in Alaska or the Northwest Coast. 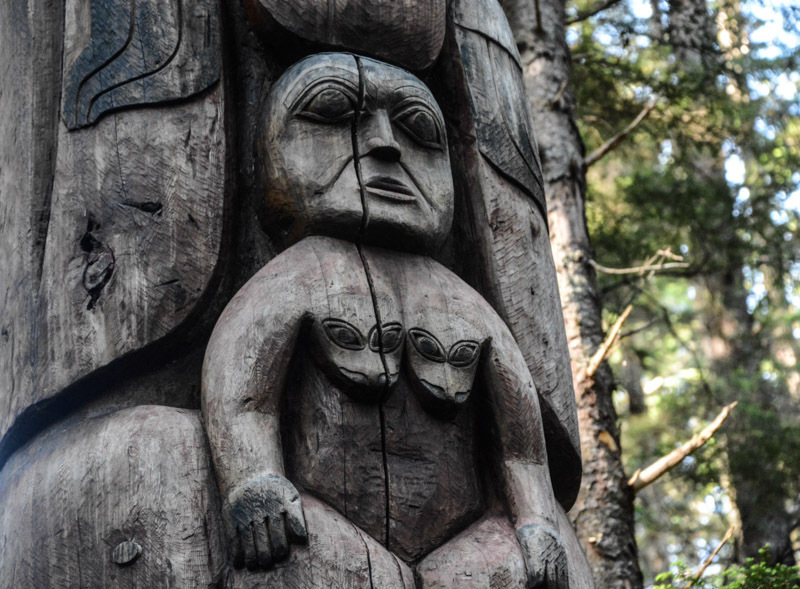 The collection of Eskimo carved ivory is comprehensive, ranging from prehistoric to twentieth century. 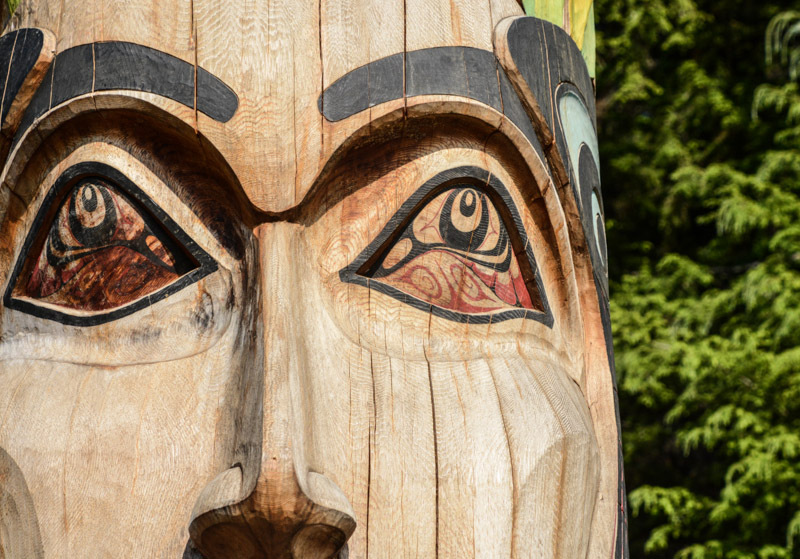 The Alaska State Museum also maintains an outstanding collection of work by contemporary Native artists. We arrived only 30 minutes before they closed and went in anyway. Amazing. They gave us tickets to get back in after the holiday weekend if we want to, and we just might! 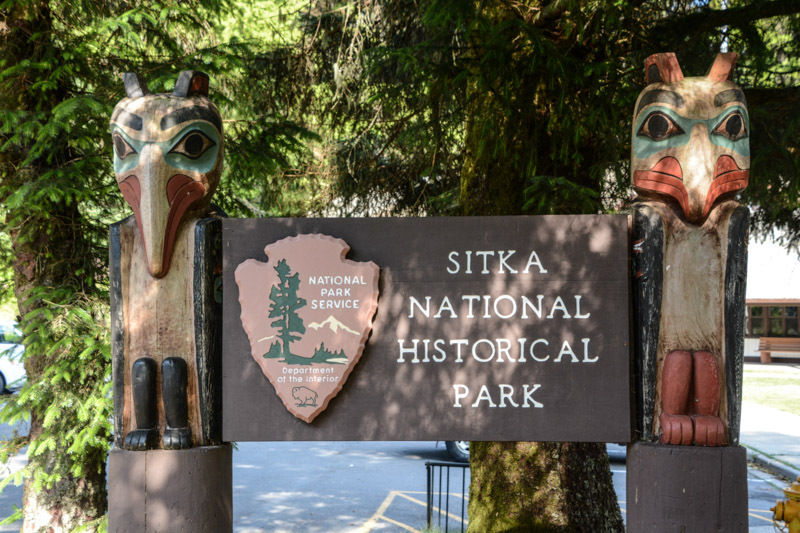 After the museum, we headed for the Sitka National Historical Park. 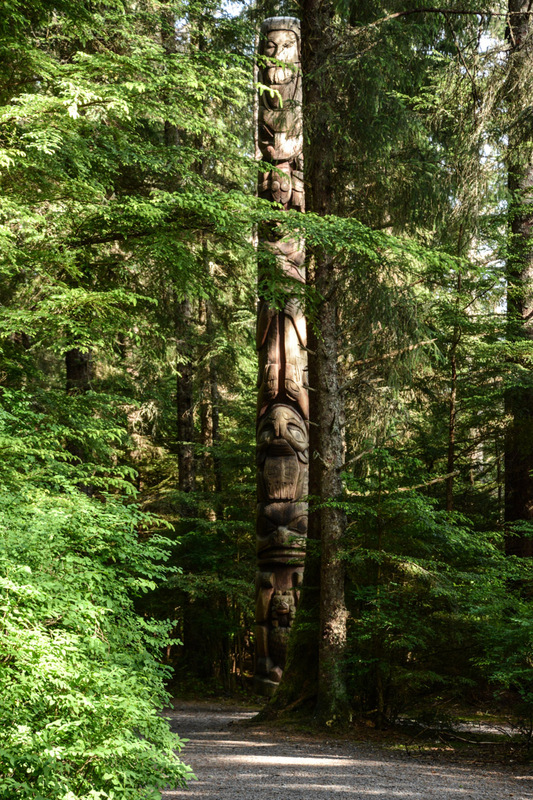 The visitor’s center was already closed, but we got to do what we really came for…the totem trail through the forest. 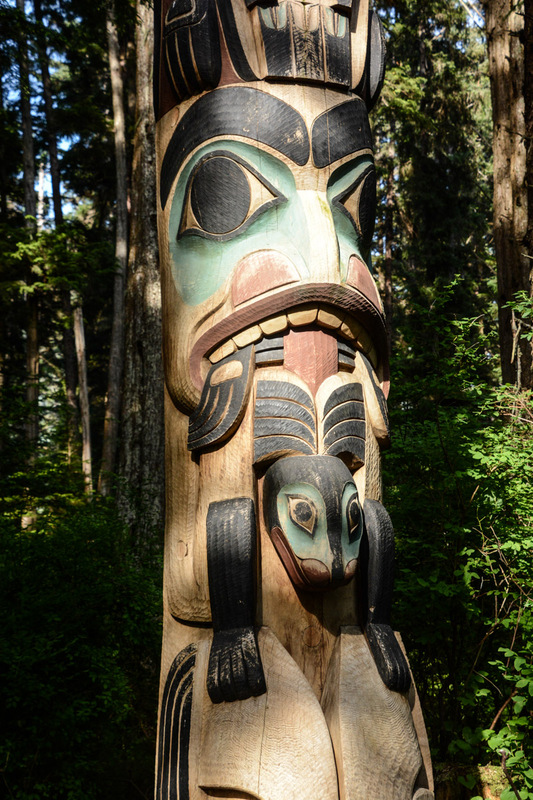 Earlier in town, we stopped at a bookstore where Tiffani picked up a book of information about the totem poles, so she played tour guide and told us about each of the totems we saw along the trail. This is what’s known as a ridicule pole. 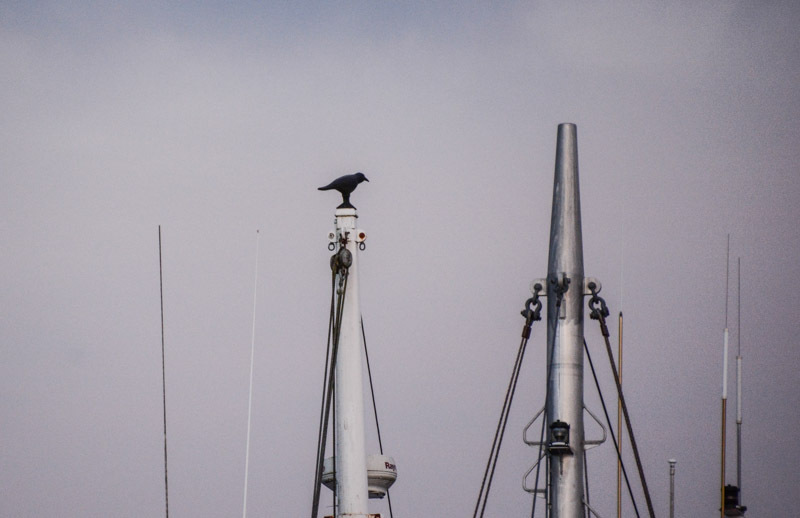 These poles were raised to notify everyone of an unpaid debt or of harm or injury to another. 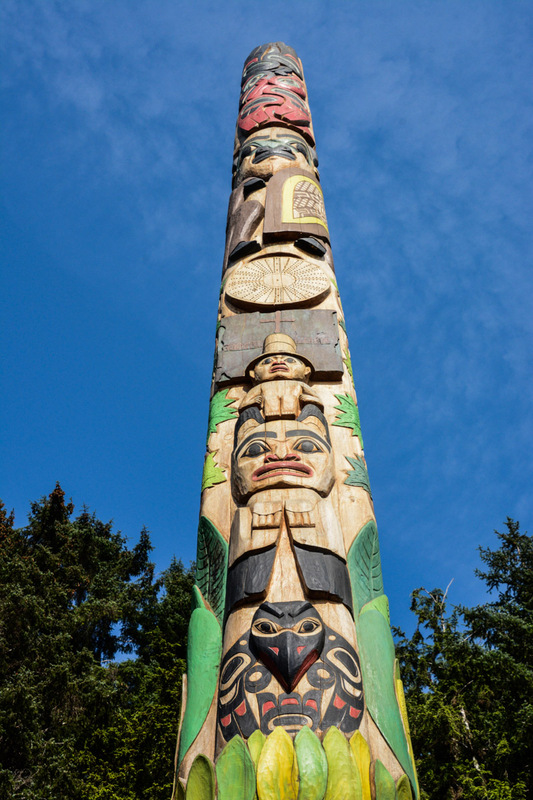 The crest of the person who owed the debt or caused the harm or injury would be carved into the pole and raised at a potlatch. 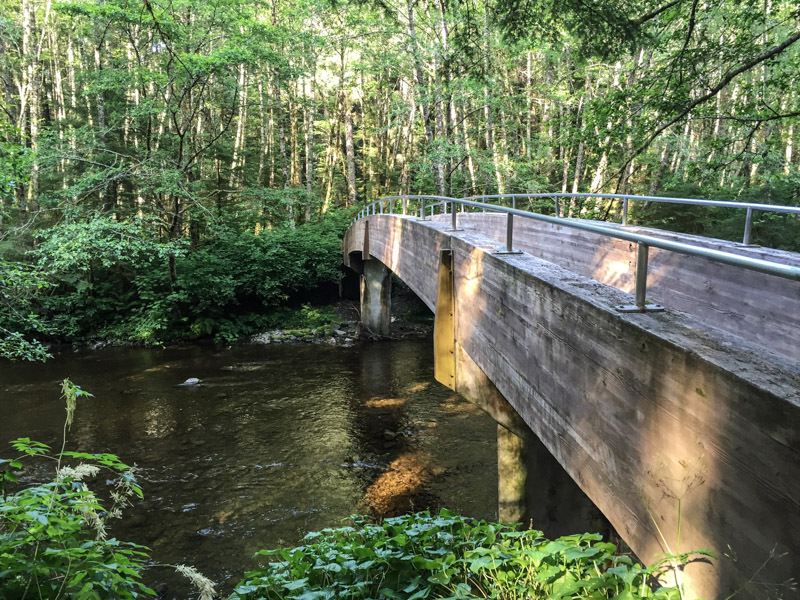 The righting of the wrong or payment of the debt was accomplished at another potlatch, again, so that there would be many witnesses. The pole was then burned and the wrong was never mentioned again. At the top of this pole is a figure representing a white man, indicated by the use of curly hair and a beard. The next figure down is holding a shrimp in its mouth, a symbol to represent a thief. Another symbol of thievery is the crab. It is the fourth one from the top in an upside down position. The bottom figure is a beaver, recognized by the teeth and tail. 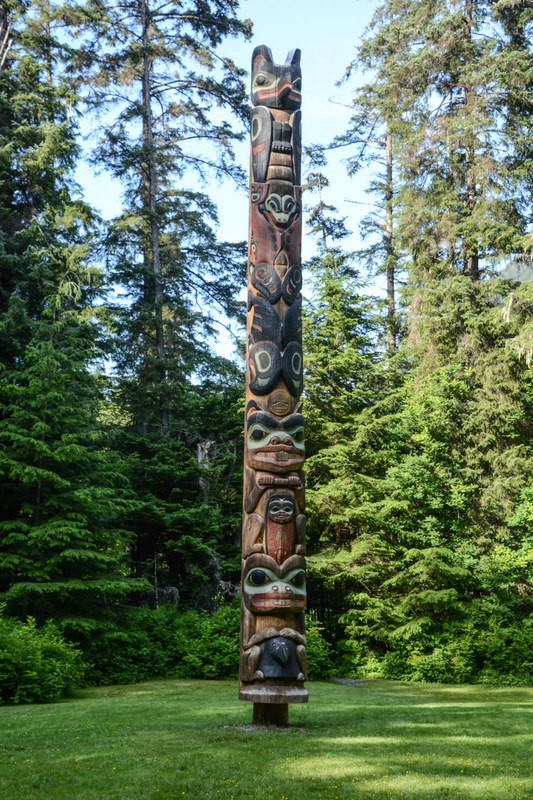 The original pole stood in the Kaigani Haida village of Sukkwan. 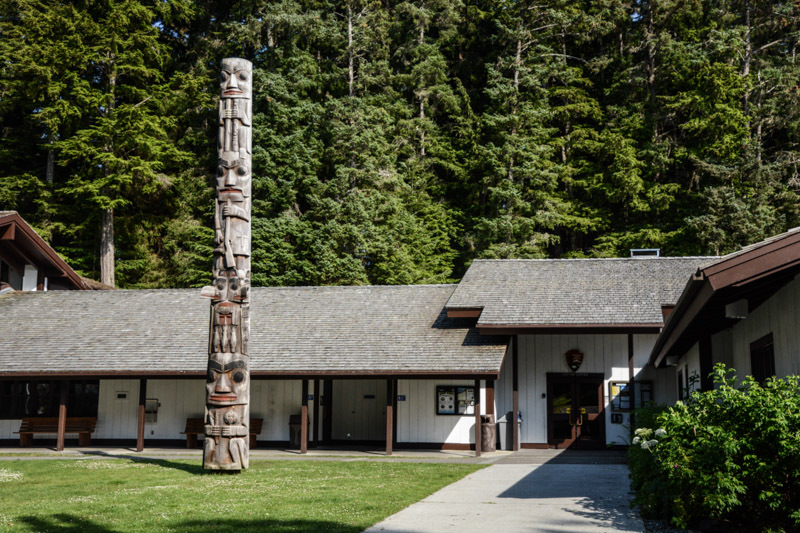 This is a replica carved during the 1938-1942 CCC project using local Native carvers. This is the Lakich’inei Pole. 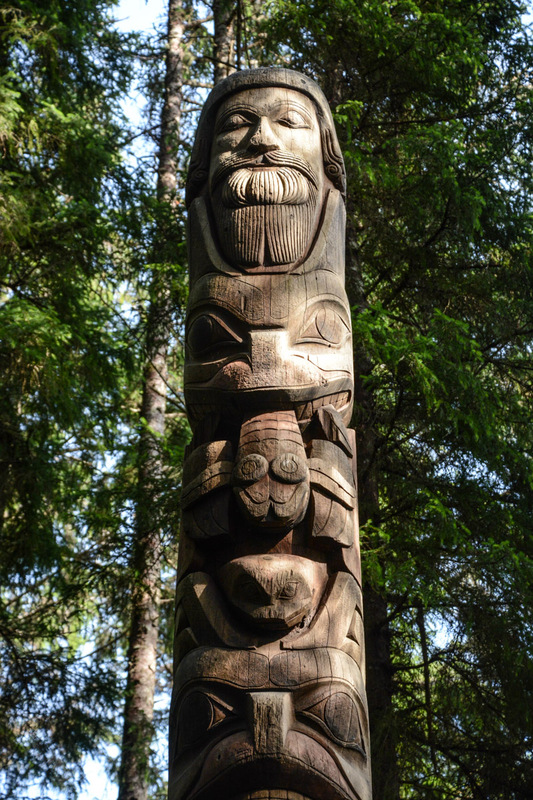 The top figure on this pole is Lakich’inei from an ancient Tlingit legend. He is pressing a child who was half human and half dog against the spine of a fish, killing the child. The bottom figure, which you can’t see in this photo) is a bear with a shrimp in his mouth. 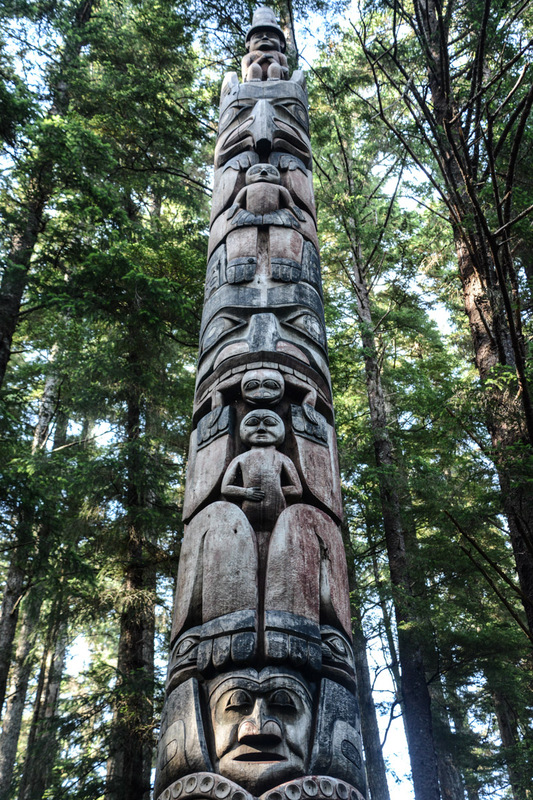 This totem pole was carved by Tlingit Tommy Joseph in 1999 to commemorate Chief K’aylaan, leader of the Tlingits, in the Tlingit/Russian battle in 1804. 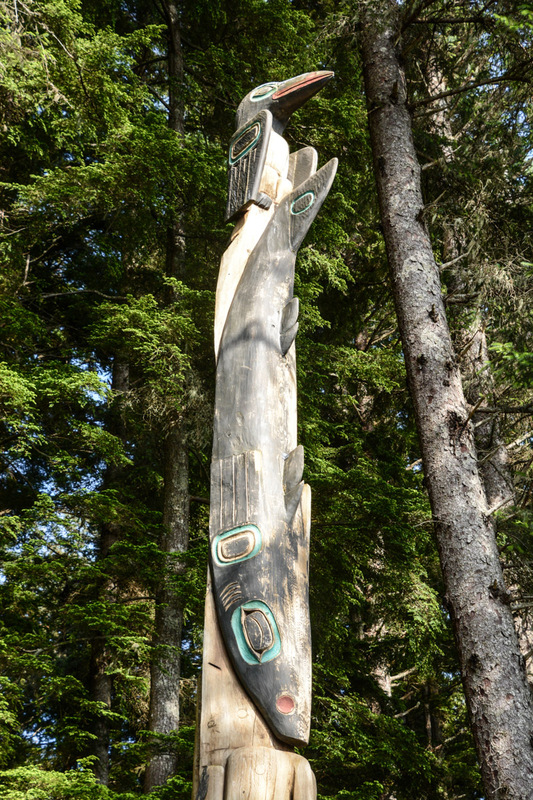 The pole is located on the site of the Tlingit fort. 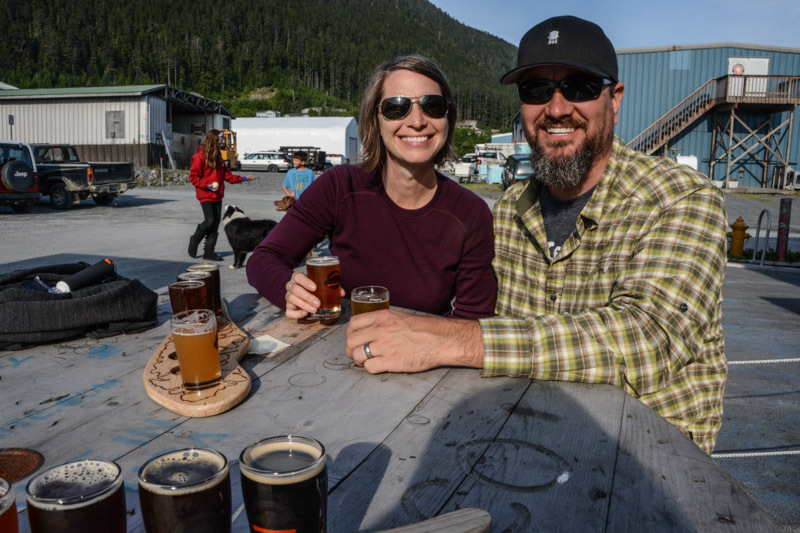 We got food from the Ashmo’s food truck parked at the edge the outdoor seating area (fish & chips, fish tacos, smoked salmon mac’n’cheese, all good) to go with our beer. Fun afternoon! 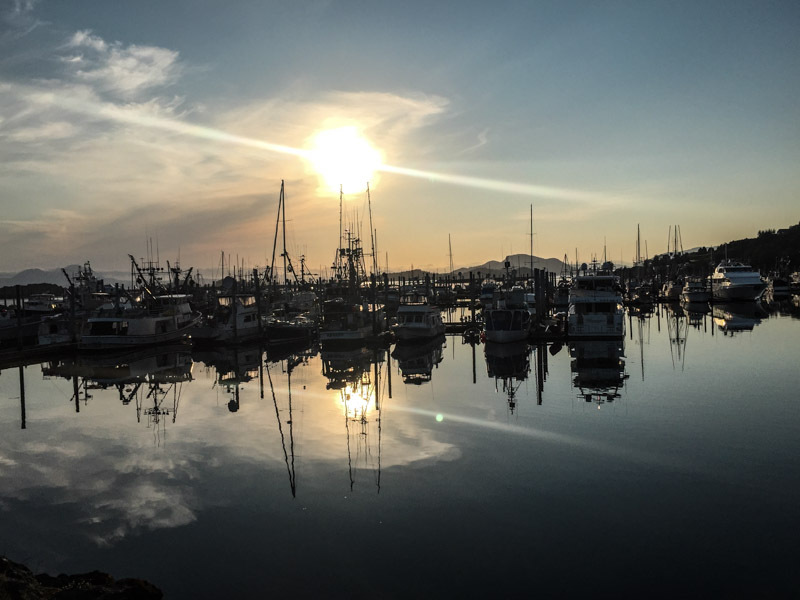 Sitka’s fireworks are tonight (July 3rd), but not until it’s dark(ish), which will probably be close to 11pm. We’re ready in our perfect spot! 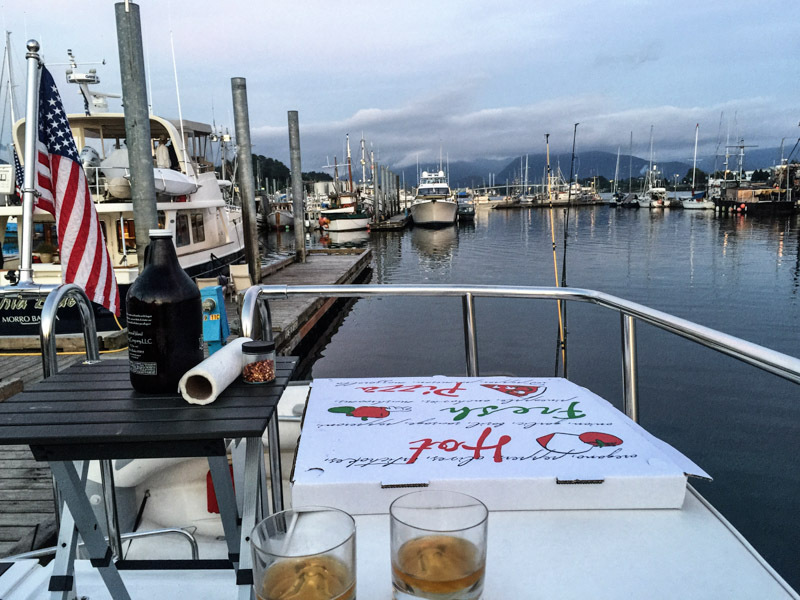 We brought back a growler from Baranof Brewing and we ordered a late pizza and sat up on the deck for a couple hours before dark, just chatting and watching boats and non-official fireworks. 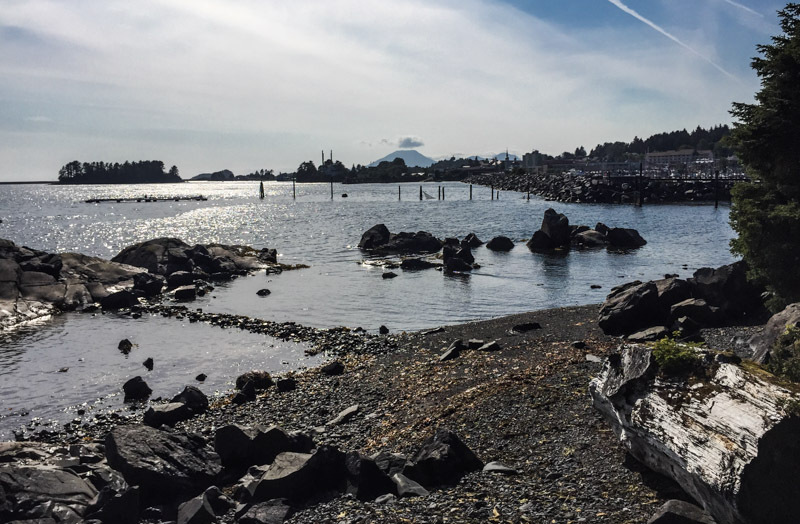 Next up: Fireworks, and 4th of July in Sitka!